Here's a very easy dinner idea that's vegetarian (vegan if you omit the cheese and Greek yogurt), healthy, and delicious! and any other types of spices you like - even taco seasoning could be substituted for all of this- Trader Joe's has a delicious mix available! 1. Chop all your veggies (peel the potatoes) and throw them into a big bowl. 2. 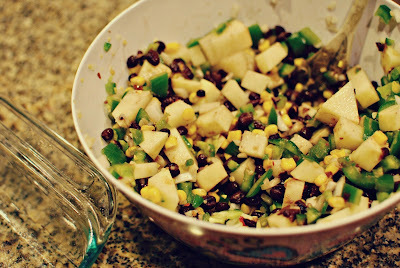 Add in the black beans, corn, and all the spices and mix. Now, when we cook we don't always follow a recipe and when it comes to spice we are heavy handed...so just add spice to suit your taste! 3. 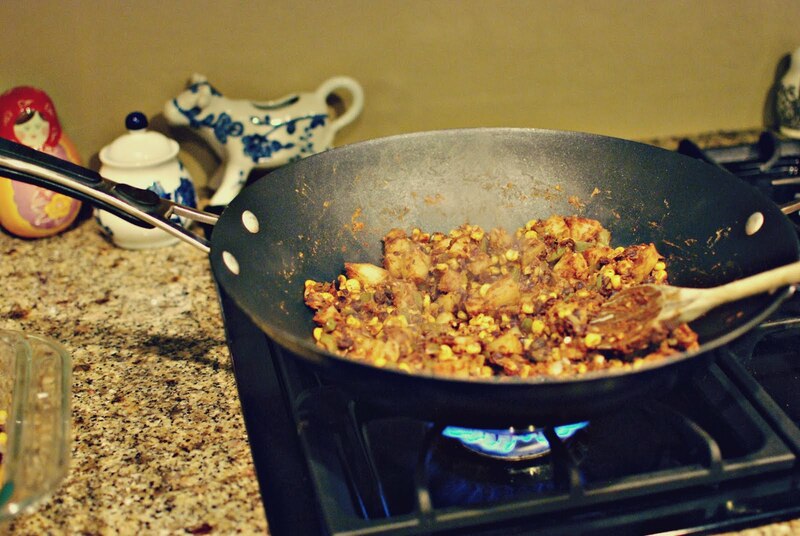 Heat up a little oil in a pan and throw everything in there. Cook on medium heat until the potatoes get a nice, golden crisp to them. If you want to get fancy you can cook the onions and garlic first with the spices. That's what Hank usually does but see that glass pan in the photo above? We initially tried to bake this concoction in that, but found it didn't work, so we switched the pan, which was great! But because of that little hiccup we weren't able to brown the onions, etc. Either way must work though because the end result was delicious! 3. Then, make your tacos pretty with all of the other stuff! Cilantro, lime, tomatoes, whatever floats your boat. And let me continue my little plug about non-fat Greek yogurt. 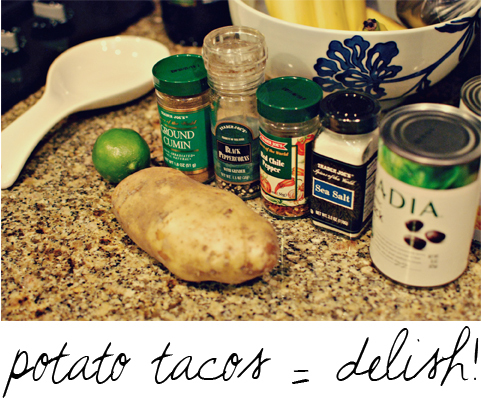 It is the BEST substitute for sour cream, ever. Hank even prefers it. You get great health benefits, no fat, and it tastes so good. And once you go this way, you'll start to want to put it on and in everything! Dips, dressings, icing...the list goes on. This looks so yummy and I never would have thought to use potatoes! If you ever made a cookbook I would seriously buy it! this looks delicious... and so easy! i can't believe i've never even thought to do it. I bet it would be tasty with sweet potatoes as well! This sounds incredibly delicious and I cannot wait to try it. Thanks for sharing! They look great! I can't wait to try them. Dude! I am totally making this tonight! Those look scrumptious and my mind is blown on the whole yogurt detail..haha. Thanks - this looks so good! I've been looking for some new vegetarian recipes. I want to start cooking much more in the near future, maybe this will be on my bucket list? looks sooo good, I'll definitely try this one out. 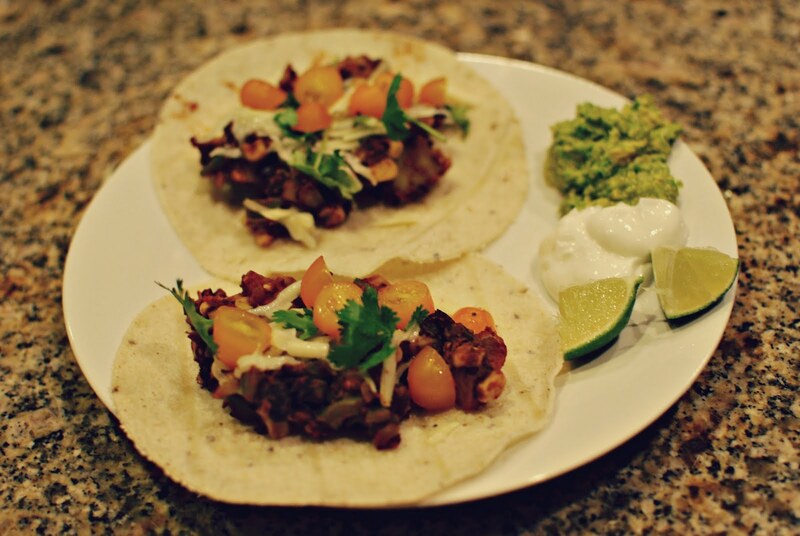 I've been making lots of squash/zucchini tacos this summer, really good as well. I'll definitely have to try this recipe. I love substituting greek yogurt for sour cream. okay, that's a brilliant idea! 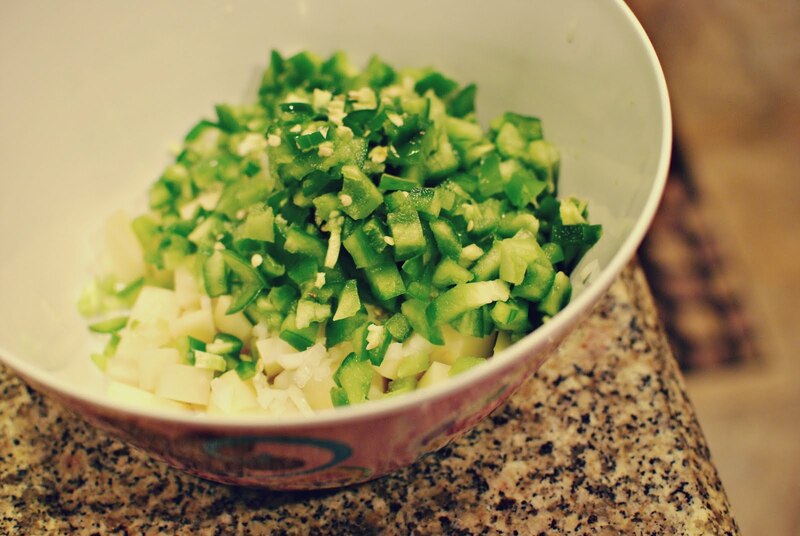 I'm so excited about this recipe! I was planning my menu for next week when I read your post. Now I have something new to try. Thanks! looks delish! I've been using Greek Yogurt as sour cream too...it's really good as french onion dip..just mix in a packet of French Onion soup mix. I just did a Tortilla Soup recipe for the crock pot if you wanna check it! Ohhh you just made my night! Looks so delicious! I'll have to try it sometime! yum. I just recently had potato quesadilla and have been trying to perfect it at home. They were super good and healthy. 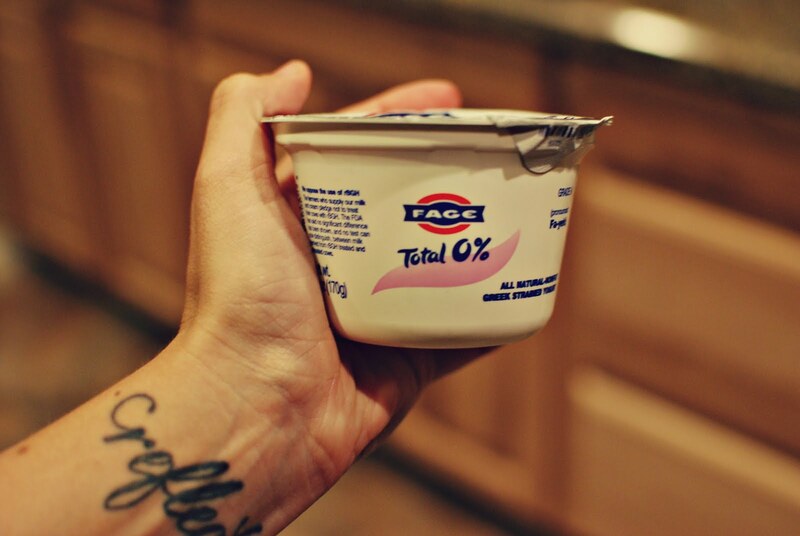 i concur about greek yogurt being a great sour cream substitute! i also use it in tuna &eggsalad instead of mayo, &even made oil-free hummus with it. greek yogurt is a wonderful thing! ps. i'm dying to make sweet potato &black bean enchiladas! This looks like a yummy recipe! I just love Mexican... I use Greek yogurt as the mixer in tuna salad, instead of Miracle Whip/Mayo. It's just as good as the original! I like GY as a replacement for sour cream, too. I made these last night, and holy delicious! They were so good, I even blogged about it!